In late August 2018, the University of Tampa unveiled the latest addition to its sprawling Florida campus: a new $40 million-plus, 91,000 square foot Graduate and Health Studies building. With close to twenty (20) advanced CAE Healthcare training simulators installed within the new facility, we couldn't resist tagging along for the Grand Opening! 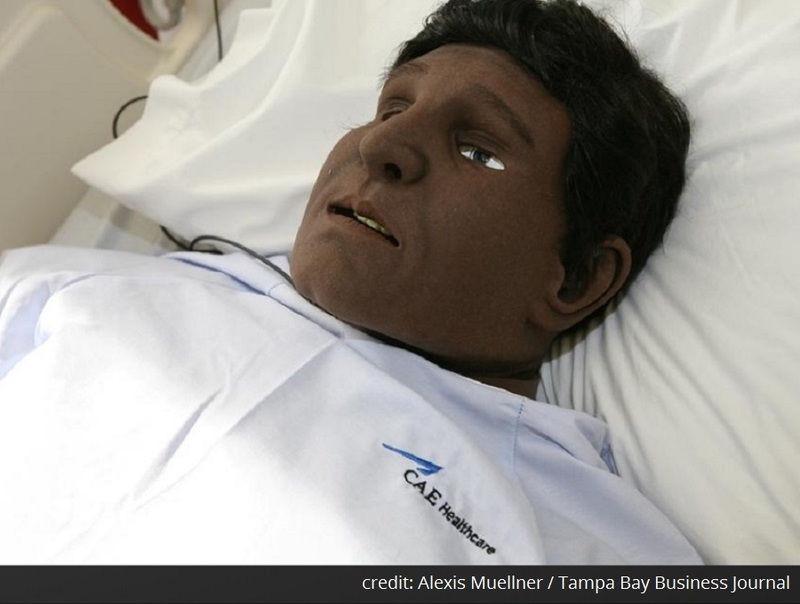 The abundance of innovative CAE Healthcare training simulators will allow clinical students to practice a range of patient management scenarios by using simulation technology to help satisfy educational requirements and prepare them for real-life healthcare situations. 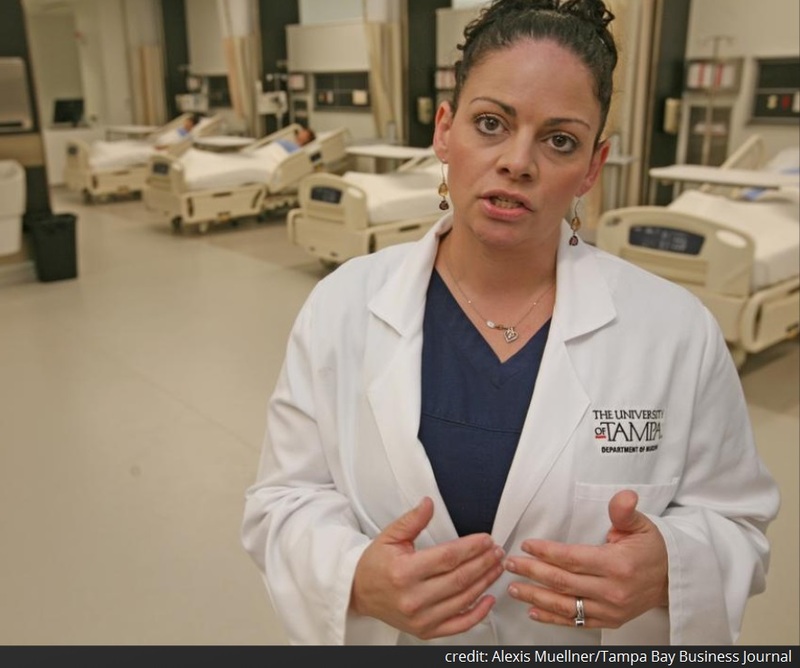 Four of the six floors within the University of Tampa's new healthcare and simulation training facility are dedicated specifically to nursing and physician assistant medical training programs. Operational resources include labs for clinical skills, digital anatomy, health science, and patient simulation, plus assessment rooms, classrooms, study spaces, faculty offices, conference rooms, and a unique moulage room, which is a specialized room for applying mock injuries for student training. With mid-fidelity clinical skills manikins, students can train in a wide range of patient management scenarios, from simple task training and initial patient assessment to advanced patient care and critical interventions. High-fidelity simulators (CAE Lucina for birthing scenarios and CAE Apollo with advanced CPR performance analysis) give students the opportunity to manage realistic patient complications just as they might one day encounter in a real hospital. These conditions include cardiac arrest, difficult airway, postpartum hemorrhage and/or fetal distress. With simulation, students may experience whatever may occur in actual clinical practice -- all within the safety of a simulated training environment. The University of Tampa's new Graduate and Health Studies Building has room for 48 physician assistant students and 250 nursing students (bachelor's and master's degree programs). The University plans to expand its training to include a doctorate program in nurse practitioner studies (DNP) at a later date.